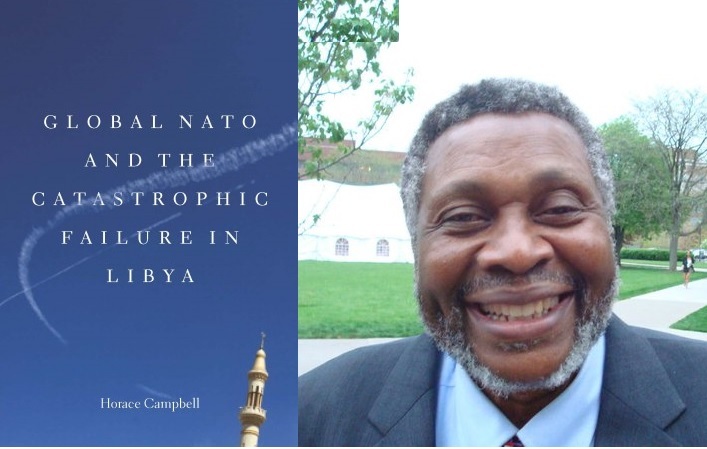 Horace Campbell: Third phase of the Egyptian Revolution: Is this the path to war? Third phase of the Egyptian Revolution: Is this the path to war? The contemporary Egyptian Revolution commenced after a popular uprising on January 25, 2011, whereby millions of protesters from diverse socio-economic, political and religious backgrounds demanded the overthrow of Egyptian President Hosni Mubarak. The Egyptian army's ousting of the democratically-elected president, Mohammed Morsi, in a military coup on July 3, 2013, marked a new phase of the revolution. This new phase has gripped the attention of humanity as the differing paths become clear. Will the popular progressive forces of workers, grassroots women, students, cultural workers, journalists and the secular elements of religious tolerance be able to build a new form of politics to break the power of the military and entrenched social and economic forces? Or, will the military along with their external allies and bankrollers in the United States and Saudi Arabia thrust the society into civil war? The crossroad of a protracted popular struggle for transformation and the alternative of civil war became more open after the massacre of over 51 protestors on Monday July 8, 2013, five days after the military removed the constitutionally elected President Mohammed Morsi. [i] Vigilance and clarity will be crucial to ensure that this military coup does not bring a repeat of the kind of warfare and violence that overtook Algeria after 1992. Up to this moment, twenty-one years later, Algeria has not recovered from the grip of military orchestrated violence and killings. The Egyptian military is not monolithic and there are considerable class differences in this force of close to one million (over 470,000 active personnel and 480,000 active reserve personnel.) This military has a considerable stake in the economy, controlling between 25 to 40 per cent of the GDP. When one considers the cooperation between the US military and the Egyptian military, epitomized by the $1.3 billion disbursement every year, then there is clarity on what the people of Egypt are up against. [iii] This is a military that employs conscripted labour and seeks to provide the conditions for the accumulation of wealth by the top one per cent in Egypt and to provide the conditions for the export of capital to the western capitalist states from Egypt. For decades, the Muslim Brotherhood (MB) had developed an alliance with the military and the ruling political class, dating back to the 14-year presidency of former President Gamal Nasser. It was this alliance that provided the conditions for Mohammed Morsi to emerge as President out of a convoluted electoral process. However, it became very apparent after a few months that the MB could not contain the widespread opposition of the people to joblessness, extreme poverty, homelessness, destitution along with fuel shortages. Thus, the alliance between the MB and the Supreme Council of the Armed Forces (SCAF) cracked. From this crack came the coup and now this third phase of the revolution. In this analysis, we draw from the lessons of the previous two phases of the revolution and seek to learn the positive lessons for a protracted struggle for the development of a truly revolutionary consciousness to set in motion a process of structural transformation. Not only is vigilance and clarity needed inside Egypt but outside. Those who want world peace must oppose the machinations of the imperial forces that are supporting the unconstitutional removal of an elected President. This has set a dangerous precedent and the African Union correctly condemned the coup. The first two phases of the revolution have received massive commentary from inside and outside Egypt. Phase one consisted of the 18-day mobilization that culminated in the removal of the Hosni Mubarak regime on February 11, 2011. The outpouring of popular opposition and the forms of organization had been documented extensively. Writers such as Esam Al Amin, Sharif Abdel Kouddous, Wael Eskandar, Ahdaf Soueif, Samir Amin, Nawal El Saadawi and numerous bloggers can be distinguished in their account of this phase. The second stage of the Revolution began after February 11, 2011. It was the struggle to organize a new mode of politics to meet the needs of the people. In the first phase, despite the massive outpourings on the streets, it was when the workers downed tools all over Egypt that the regime finally fell. Yet, in the immediate aftermath of the removal of Hosni Mubarak, there was focus on the electoral forms of struggles. While the media focused on elections and constitutions, the workers took to massive strikes and reports by the Egyptian Centre for Social and Economic Rights (ECESR) in April 2013 detailed labour strikes that took place in Egypt in 2012. These struggles by the workers in Egypt involved railway workers, public transport workers, doctors and police officers. ‘According to the report, in 2012, Egypt witnessed 1,969 protests by workers – in the government, public and private sectors – marking a considerable increase compared to 2010, when only 530 protests were recorded. The 2012 protests listed in the report represented one of the highest levels of social struggle worldwide and include demonstrations, sit-ins, road blockages and strikes. For the first five months of 2013 the industrial activity by workers intensified with initial reporting that there were 5,544 strikes and other self-activity by workers in Egypt. These workers had broken the shackles of the trade union organization that had been imposed on Egyptian workers by the Egyptian Trade Union Federation; the industrial wing of Mr. Mubarak's now disbanded National Democratic Party (NDP). For three decades this NDP controlled trade union organization had restricted strike actions and trade union activities to defend the rights of workers and their communities. It was significant that on January 30, 2011, in the midst of the first phase of the revolution the Egyptian Federation of Independent Trade Unions (EFITU) was launched and immediately drew millions of new workers to its ranks. As the Muslim Brotherhood moved to take control of all forms of independent organizations and local governments the mass of people, whether in the schools, media, arts or film began to see that the revolution to replace Mubarak had been replaced by an organization that simply wanted to step into the positions of the old Mubarak forces and hasten what commentators termed the ‘Brotherhoodization’ of Egypt and its unions. [vi] It was the response to this Brotherhoodization that ushered in the third phase of the revolution. From day one of the overthrow of Mubarak, the very organizations that toppled Mubarak determined to maintain their independent character and it was this character that unleashed the forms of organization to usher in the third phase of this ongoing revolution. The Egyptian revolutionary process after 2008 (date of the April 6 movement) had been initiated by a loose alliance of differing social forces. At the time of the first phase of the revolution, I had termed these forces as belonging to a revolution without self declared revolutionaries. Then I had noted that ‘The youths and women who have been organising day and night are the inheritors of organising traditions that had been undertaken by trade unionists, writers, journalists, farmers, artists, progressive intellectuals, women, religious forces and patriotic business-persons. The strength of these social forces is so remarkable that the ruling elements resorted to violence.’ However, the very looseness which was a source of strength was infiltrated by the differing social forces who wanted to oppose President Morsi without opposing neo-liberalism. Thus, in light of the opposition to the Brotherhoodization of the society, elements such as Mohamed El Baradei had joined the movement, crafted a National Salvation Front (NSF) and offered himself up as a leader of the popular revolt. Like the MB, El Baradei has no alternative to the austerity packages of the IMF and his appointment as vice president to the interim president, Adly Mansour, will sharpen the contradictions within the ‘Tamarod’ (Rebellion). By the time of the anti-democratic decrees of President Morsi, the elements from the Mubarak regime (called the fulool) had calculated that the wave of rebellions and strikes would delegitimize the Morsi regime. These elements from the party of Mubarak, the National Democratic Party (NDP), therefore attached themselves to the growing rebellion hiding behind the youths, workers, students and women. Hence, the very loose organizational form that had been a source of strength in the first phase threatened to be a source of manipulation as the old bourgeois and liberal forces such as El Baradei joined in this rebellion. In this third stage there were differing social forces with contradictory agendas; the revolutionary youths, workers and women, elements from the Mubarak party (NDP), former security officers, liberals such as El Baradei, leaders of the Coptic Church, all united against the political rule of Morsi and the Brotherhood. With far more resources and organizational depth, the former officials of the Mubarak period plotted and waited. The integration of the El Baradei wing of the rebellion with western financial centers became evident from the interviews that were being given to the Anglo-American media. WHICH MILITARY ORCHESTRATED THE COUP? The more perceptive sections of the people of Egypt understand clearly that maintaining the neo-liberal based external oriented economic system prevents processes of structural transformation to improve their economic conditions. Although this is now clear as the global capitalist crisis deepens, western capital considers Egypt too strategic for the people of Egypt to determine their own destiny. Western commentators (especially from the think tanks in Washington, D.C) will dwell on the fact that the US has provided over $60 billion over the past three decades and that every year the US delivers $1.3 to the military. However, as we stated from the outset, this military is not monolithic. The top officers of the military share the same social background as other capitalists in Egypt and the military benefited from the nationalizations that had taken place under Nasser. These senior officers are the ones who manage vast land holdings and businesses. It was over 40 years ago when in the book, ‘Egypt Military Society: the Army Regime, the Left, and Social Change Under Nasser’, we learned of the pivotal role of the military in Egyptian society. [xiv] These same officers dominate the boards of parastatals and have access to lucrative contracts after they retire from the military. Estimates vary as to the size of military-owned industries .The companies not only produce military hardware, but also products and services for the domestic consumer economy. This officer corps has very little in common with the conscripted labour working in the state owned enterprises or the conscripted soldiers in the armed forces. Thanks to Wikileaks we know that US diplomats have been monitoring economic activities and the fact that they controlled ‘the network of commercial enterprises particularly active in the sectors of water, oil, cement, construction, hospitality, distribution of fuel and a large housing stock in the Nile delta and the Red Sea coast.’ As owners of large enterprises this military high command was taken aback by the wave of strikes and popular opposition to President Morsi. The contradictions that led to the break between the military and President Morsi are the same contradictions that will lead to a break in the military between the top officer corps and the rank and file. This phase of the revolution will require clarity from those who understand that the future of Egypt will depend on the conscious and organized action of the people of Egypt to avoid open warfare. The massacre of 51 protesters on July 8, 2013 opened new paths for crushing the popular outpourings under the guise of seeking stability. President Putin of Russia has stated that Egypt is headed towards civil war, but this is not an outcome which should be anticipated by those who want peace and social justice. However, far more than bold statements are now required to strengthen the popular forces to withstand the repression of the military as they will seek to implement the austerity measures of the International Monetary Fund. The leaders of the United Arab Emirates and Saudi Arabia have now chipped in $8 billion to shore up the military coup. [xvi] But the crisis in Egypt is not one of an absence of resources; it is the absence of the organization of the resources for the 85 million Egyptians. There are powerful external forces that are arraigned against the people of Egypt and believe that the domestic needs of the society should be subordinated to external interests. The fuel crisis in Egypt is a prime example of the planners placing the needs of supplying gas to Israel over the interests of the poor. Additionally, the poor in Egypt have watched as the workers of Syria are caught between an oppressive Assad regime and an Islamist opposition that does not offer any real alternative to President Assad. These Egyptians have witnessed the recent history of Algeria where the Algerian military in alliance with the Western capitalist states waged a bloody war against the Islamists who had won the 1992 elections. These experiences of Syria and Algeria weigh heavily on all popular forces as they ponder the paths of war and revolution. More than twenty years ago, the realist of International Relations theory in the USA, Stephen Walt, wrote an important book on ‘War and Revolution’. In this book Walt noted that, ‘revolutions are much more than critical events in the history of individual nations, they are usually watershed events in international politics. Revolutions cause sudden shifts in the balance of power, alter the pattern of international alignments, cast doubt on existing agreements and diplomatic norms, and provide inviting opportunities for other states to improve their positions. They also demonstrate that novel ways of organizing social and political life are possible and often sympathizers in other countries. Thus, although revolutions by definition occur within a single country, their impact is rarely confined to one state alone. Indeed, revolutions tend to disrupt the international system in important ways.’ [xvii] Though I do not agree with the realism of Walt, but in this instance the views of Stephen Walt coincide with the earlier observation that Egypt’s popular revolution will change the world. Already, the counter –revolution that arose in Libya after February 2011, exposed the duality of revolution and counter-revolution within one region. The coup in Egypt coming in the aftermath of the massive outpouring of 34 million on the streets on June 30, 2013 has also brought home this duality of revolution and counter-revolution inside Egypt. Vladimir Lenin had also discussed at great length the relationship between war and revolution and explored the major wars that swept Europe after the French Revolution. Though both Walt and Lenin dealt with the relationship between wars and revolution, Lenin asked different questions from Walt. Lenin had paid close attention to which class in society was benefitting from war and more importantly to the social forces that can overcome war. This same germ of hope is now expressed by progressive Egyptians who have written that ‘there is still hope for the Egyptian revolution.’ [xviii] However, recent experience of the youths who organized behind Barack Obama on the promise of hope has shown very quickly that ‘hope’ is insufficient to curb the power of the entrenched financial oligarchs. These experiences from Egypt in 2011 and the United States in 2007-2008 exposed the reality that the progressive forces must be very clear about their objectives and their strategies when they enter into alliances with other social forces. This is even more crucial when the kind of violence that was unleashed on Monday promises a new wave of repression. The progressive forces inside this phase of the revolution will need to ensure that when the violence stops, the military and the oligarchs will not be the ones to claim victory and to claim that Egypt has been stabilized. Western imperial interests have made it crystal clear what kind of change they want in Egypt. The Wall Street Journal has called for a Pinochet to emerge from the officer corps while Tony Blair has called for the European financial elite to throw their weight behind the coup. The Wall Street Journal and Tony Blair are too far behind because they do not understand that whatever comes next, the Egyptian revolution has already deepened the disruption of the international system that had been established to maintain western interests in Africa and the middle East. The prolonged and protracted struggles for peace and social justice will call for responses inside and outside of Egypt. If and when outright war comes in this phase the progressive forces inside Egypt will have to have an answer on how to end the war. In this third phase of the revolution, the progressive forces need to have a clear and concrete plan on how to counter the violence coming out of the Egyptian military because – from the lessons learned in Algeria and elsewhere – it’s the progressive voices that easily get silenced when agents of militarism use the excuse of violence and security to hijack the will of the people. Revolution is not an event but a process. The history of revolution and war should steel the women, progressive youth, and workers to be prepared for a protracted struggle.